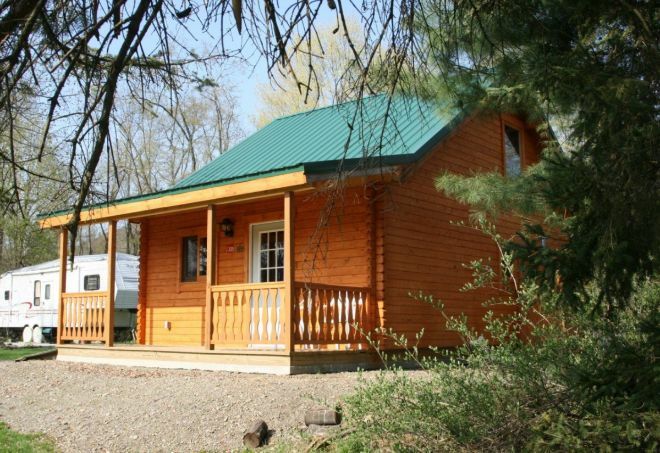 From Conestoga Log Homes, the Hickory Hill log cabin is a compact yet practical vacation getaway — or permanent residence, if you feel like simplifying — to help you leave behind your everyday stresses. 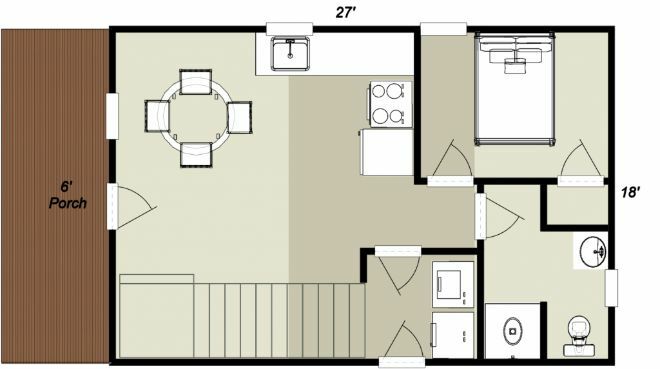 At 667 square feet, the Hickory Hill gives you breathing space while maintaining its cozy charm. 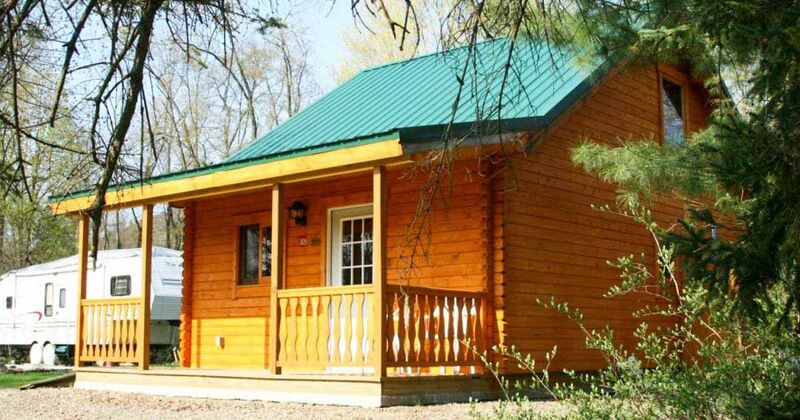 All log homes from Conestoga are constructed from Dense Southern Yellow Pine (SYP) for maximum durability and the Hickory Hill is no exception. 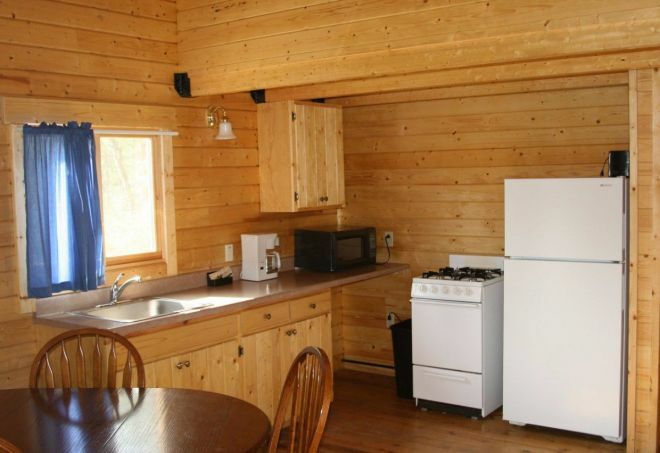 What we like most about this cabin is its potential — you can make the interior as simple or as ornate as you prefer, but the structure is equally well-suited to either extreme. The exposed beams on the porch add just enough of a rustic touch. The kitchen and dining room spacious enough for you to decorate to your heart's content, but the gorgeous wood interior can also speak for itself. 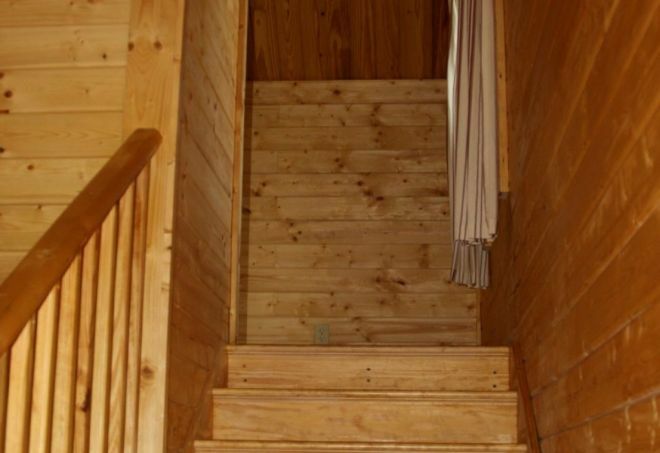 Here are the stairs leading up to the loft. 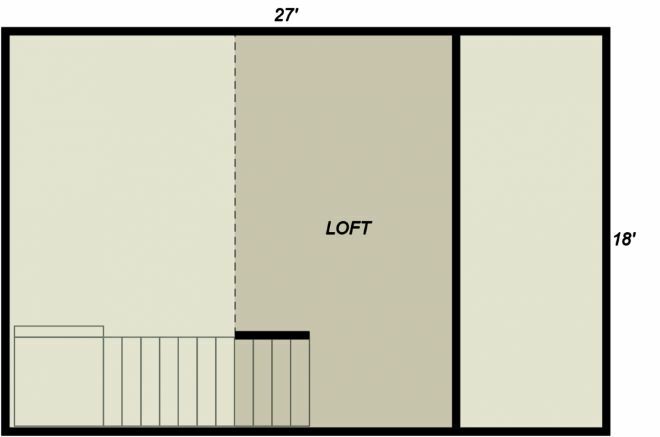 The upper level can serve as an extra bedroom, an office, or even as a crafting area. It all depends on what you want. 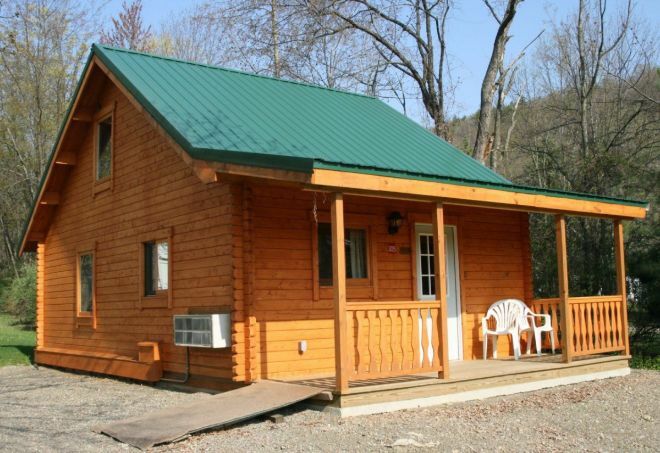 Is Hickory Hill next on your wishlist? 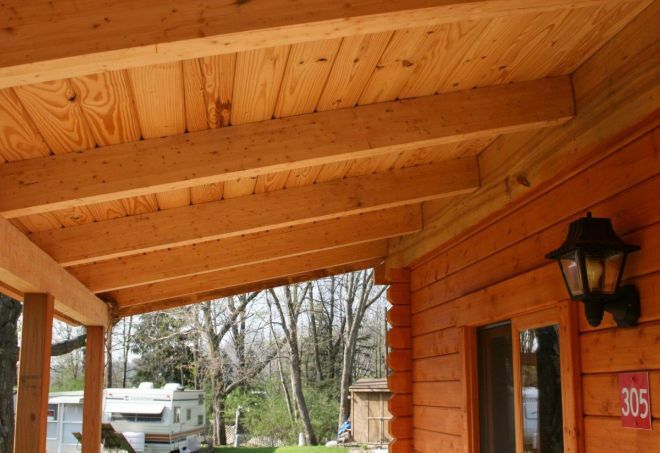 Be sure to SHARE with other log home enthusiasts!